February 2010 – Where On Google Earth? 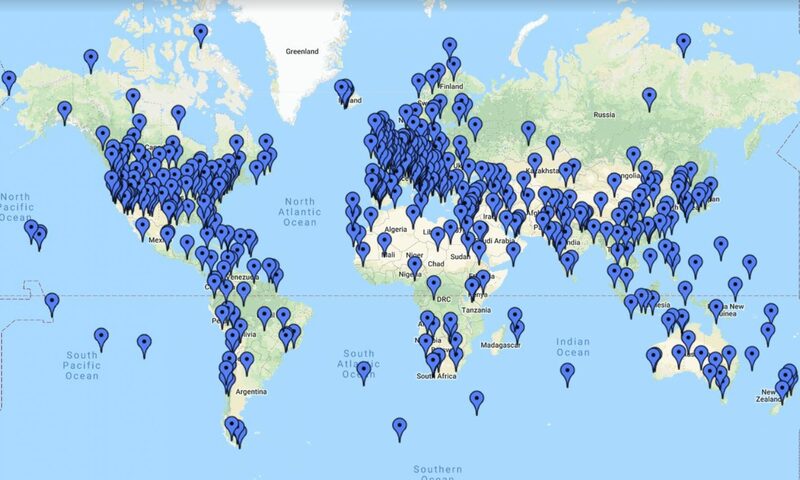 Remember, you can click the image for a larger version. 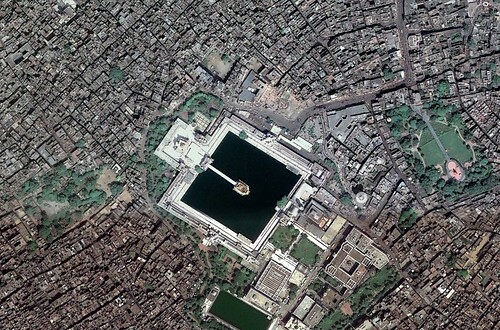 The Winter Olympics are in full swing and one of the most peculiar events is Curling. 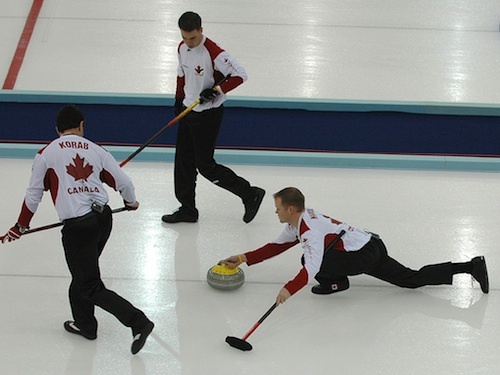 Originated in medieval Scotland and once popular in the low Countries, nowadays 90% of the curling players are Canadian. 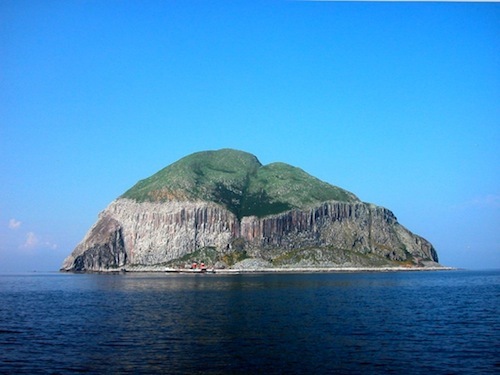 The curling stones are preferably made of a very special kind of granite (Riebeckite granite), only found in Ailsa Craig, a small island off the coast of Scotland in the Firth of Clyde. 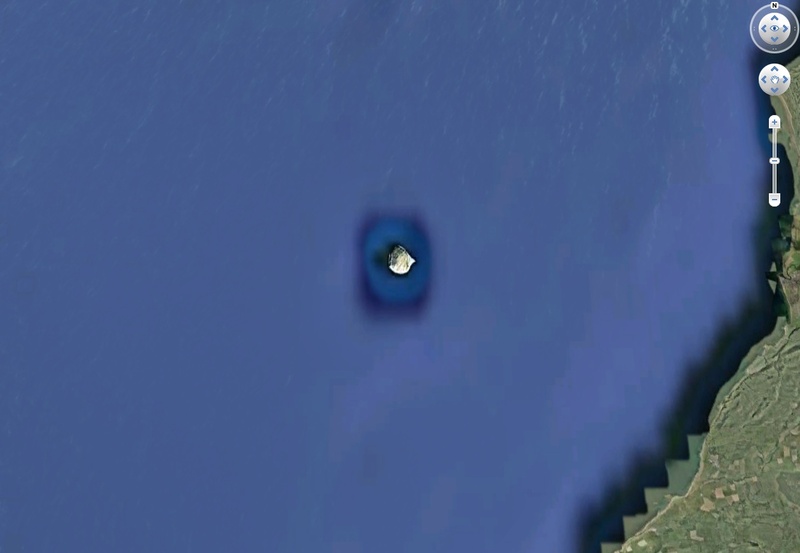 Ailsa Craig is basically an extinct volcano and has no population. 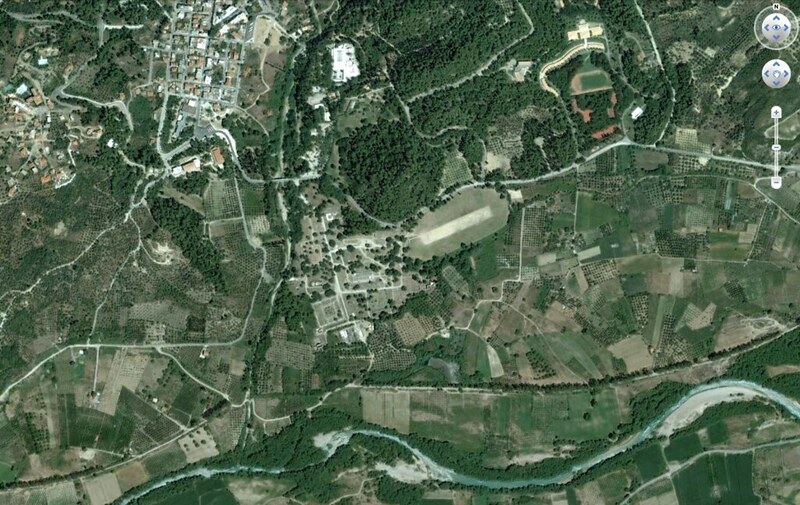 The granite quarry is now closed but there still is a supply for stone making that will last until 2020. 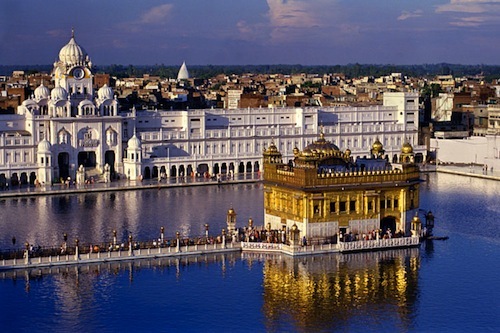 The Golden Temple or Harmandir Sahib, is the main sacred place for the Sikhs. 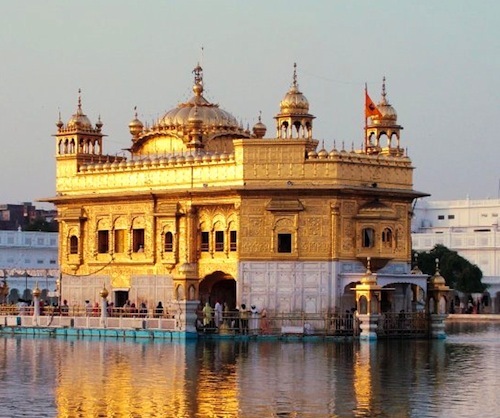 It is located in the city of Amritsar, India and surrounded by a large lake, known as the AmritSar which means The Pool Of The Nectar Of Immortality. 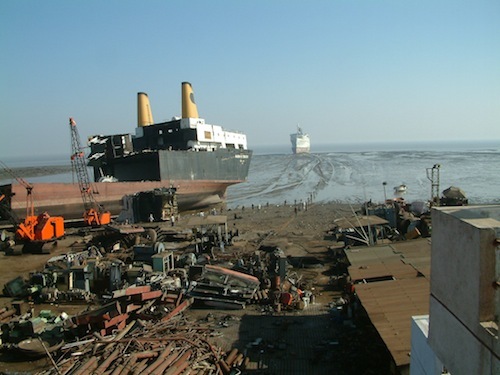 One of the world largest shipbreaking operations is located on the beaches of Alang, India. 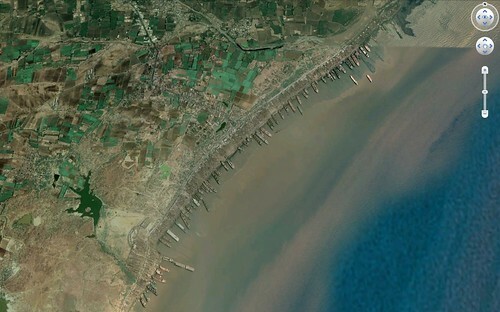 According to Wikipedia, approximately half of the decommissioned ships are demolished here. 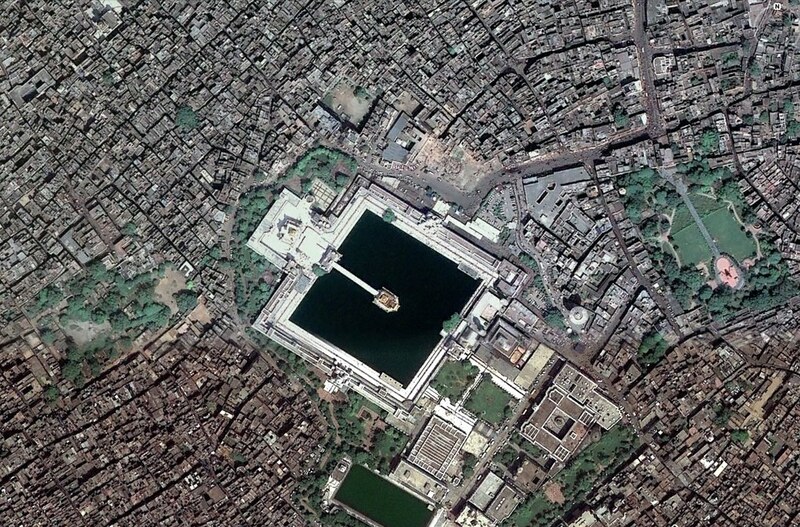 It is notoriously famous for the environmental and safety hazards. 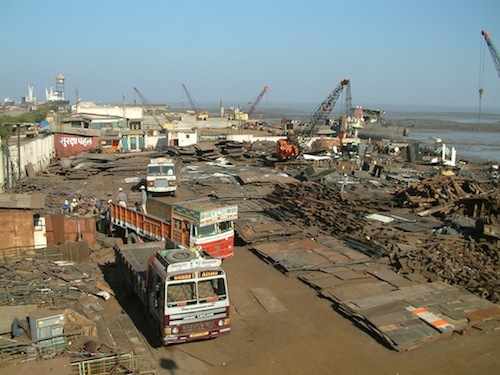 Local workers are exposed to PCBs and asbestos and safety accidents occur on a daily basis. 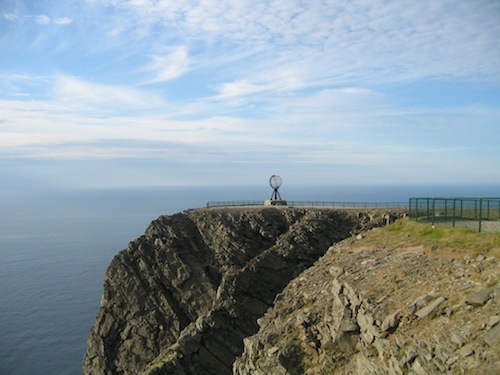 Supposedly the most northern point of Europe is the Nordkapp (North Cape) in Norway. But it is actually located on an island and furthermore it is not on the most northern part in that neighbourhood, but that proved to be no objection to become a popular tourist attraction.